The UK government welcomes talented entrepreneurs from the world over to set up their business in the UK. However, at the same time, they strive to ensure that the entrepreneurs attracted from abroad are well positioned to contribute to their national economy. It is mandatory for the applicants to provide a genuine and workable business plan. Moreover, it is equally important to know your business plan and be able to answer the related questions when invited to the Home office or embassy for an interview. The Applicants must show that they have access to at least GBP 200,000. Also, they need to provide proper evidence of the source of funds in case funds have been held in the applicant’s account for less than 90 days before the application is made. The Decision-maker in this regard will usually consider the additional evidence as a proof that the business is genuine and that the applicant is running a credible business in the UK. 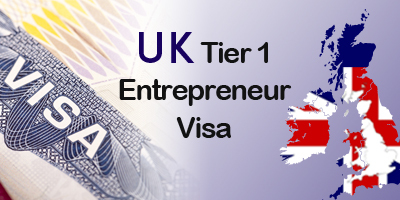 The holders of Tier 1 Entrepreneur visa can only work in the business in which they have invested the money. They cannot take up any other establishment or paid job. The major challenge faced by the applicants of this visa is the Genuine Entrepreneur Test. One needs to be well prepared to appear for this test as even genuine entrepreneurs find it difficult to pass it. This test aims at evaluating the individual’s past business experience as well as future intention. Get in touch with Visa specialists at Pathway Visas to get all the desired information related to UK Tier 1 Entrepreneur Visa for the UK as well as hassle-free processing of your visa application. Check Pathway Visas Reviews to know more.